Practice makes perfect. And this is nowhere truer than for numbers. 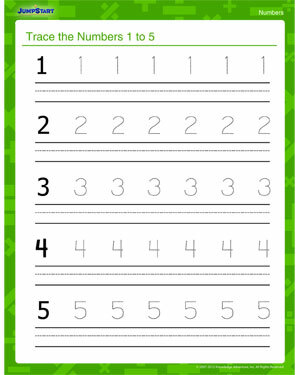 Help your child practice and master the numbers 1 – 5 by tracing them in this free printable numbers worksheet for kids. Help your little one become a math pro before he goes to grade school. And when he’s done, don’t forget to check out other Counting and Number worksheets.